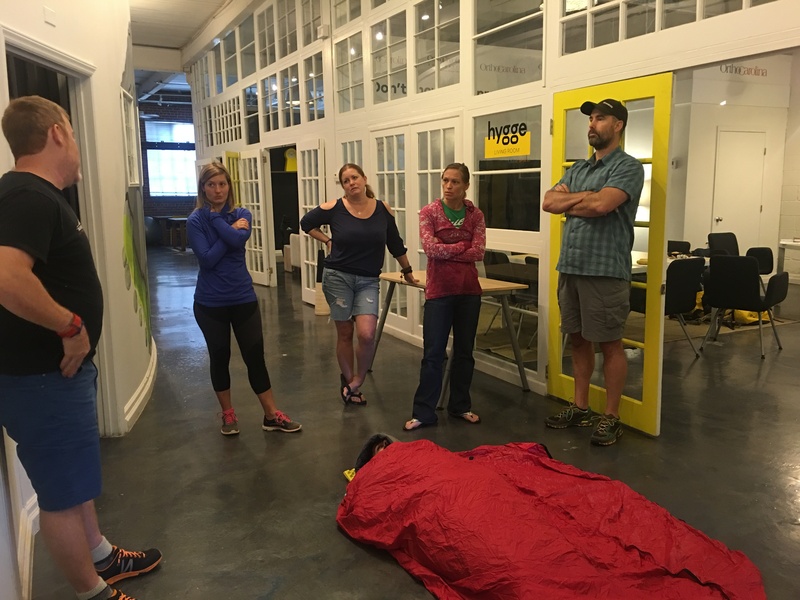 Hygge may not be located in a forest, far from it, but the OrthoCarolina Living Room hosted a Wilderness & Remote First Aid Certification class for the Charlotte chapter of the American Alpine Club. Charlotte’s AAC chapter was born in 2015. Its mission is to support members’ shared passion for climbing, as well as the places they climb. Caila Gorniewicz is a member of AAC. She works for the Lupus Foundation and was introduced to the OrthoCarolina Living Room through the Illuminate Series. So when it was time to find a location for AAC’s event, she emailed Garrett about using the space. “I knew I could benefit from this course and many others in our community could benefit from it as well,” Caila says. The two-day, 16-hour course included both lecture and practical exercises that covered patient assessment, urgent first aid techniques, patient care and the evacuation decision process. Here, the team is practicing a hypothermia wrap. 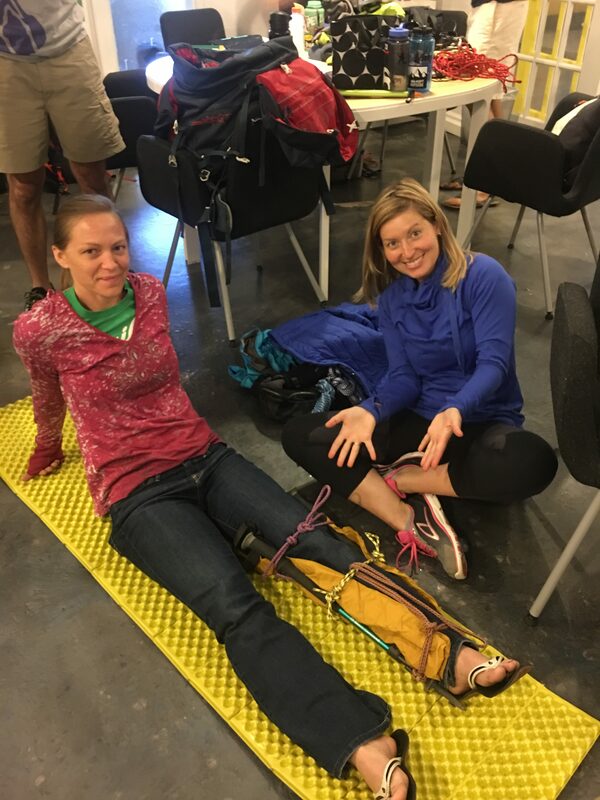 Participants learned how to make splints from resources one would typically have in their hiking backpacks. Looks like fun! Probably not so much when you’re actually stranded in the wilderness, but you know what I mean. AAC’s class was done in conjunction with the American Red Cross. After successful completion of the course, participants got a two-year certification from the Red Cross. The response was so good that Caila says AAC is planning another class. Can’t wait!